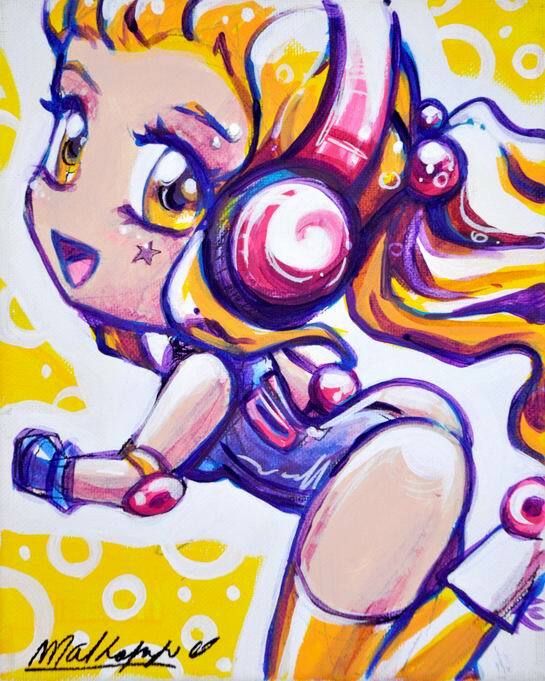 Chibi blonde hair girl with headphones in a leotard and roller skates. Art Purchased from this show will ship after the show closes on April 30th. Please contact us at the Gallery if you have any questions. 561-832-4655.